I created a few interesting Windows screen shots that didn't quite fit anywhere else, so I am putting them here. It seems that the Windows 16-bit executable format hasn't changed that much since Windows 1.01. 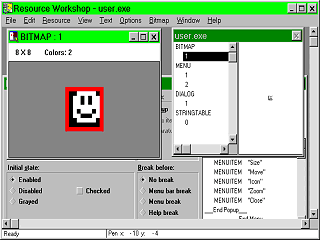 All I had to do was set some bits in the header to make it think it was a Windows 2.x executable, and then use an old copy of Borland Resource Workshop to convert the resources to Windows 3.0 format. 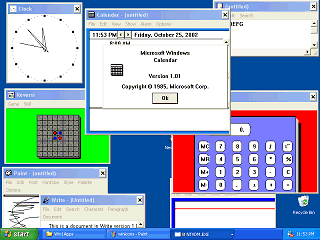 Now the Windows 1.01 accessories run under Windows 9x or even Windows XP! It's kind of spooky seeing that 1985 copyright date. 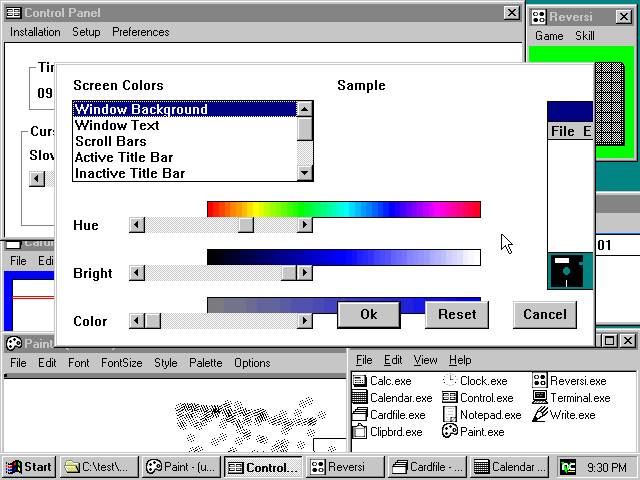 The Windows 1.01 control panel looks nice running in high-color mode. Off hand I don't know exactly why stuff is shifted around. These applications open in a small window in the upper left of the screen. You have to resize the window to see what is in it. This is because Windows 1.01 did all the window sizing for the programs. Because of the differences between Windows 1.01 and Windows 9x/NT/ME/Whatever these apps will not run 100% accurately. 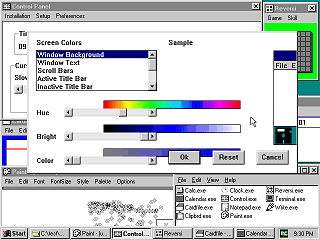 For example the tool bars on paint.exe do not display properly and can cause Windows to appear to lock up (use ctrl-alt-delete to end paint if this happens) I have also been told that calendar and cardfile refuse to run under Windows ME. They could behave differently under different configurations of Windows. All I can suggest is that if the programs generate an error and the message gives you the option to close or ignore, try clicking ignore a few times and it might still run. The Windows 1.01 MS-DOS Executive wouldn't run at all under any environment after being converted so I didn't include it. I'm not including the apps from Windows 3.0 or later because they don't need any conversion to run under later versions of Windows. On the Windows 1.01 apps click the system box (the icon in the upper left of the window) and click "about" to get to the "about" screen. 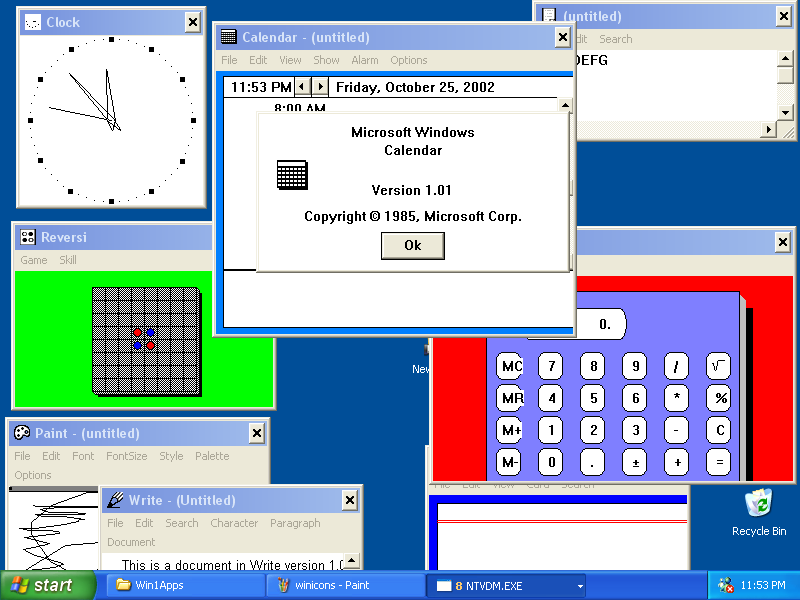 Win1Apps.zip - Windows 1.01 apps converted to run under later versions of Windows. Win2Apps.zip - Windows 2.03 apps converted to run under later versions of Windows. Someone at MS must have had some fun. 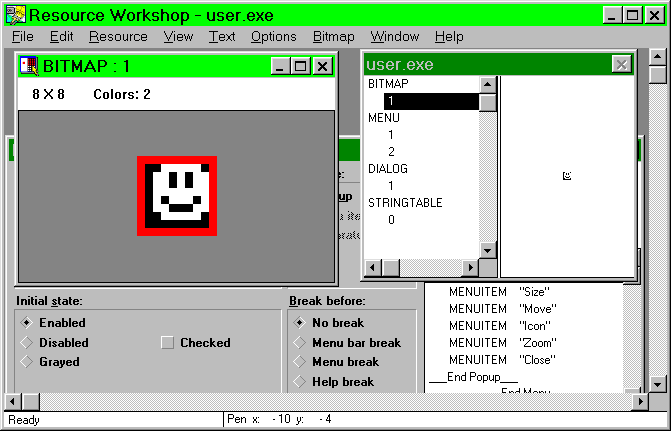 In the Windows 1.01 user.exe there is a small bitmap smily face.